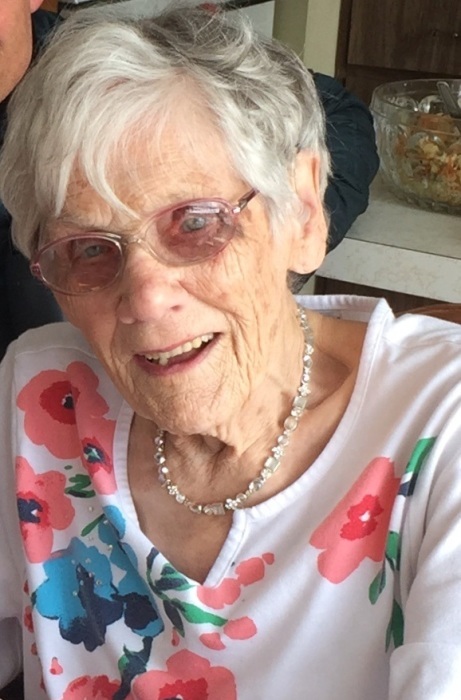 Joan Arneson, age 93, of Spring Valley, Joan passed away peacefully in her home on Tuesday morning, May 15, 2018. Preceded in death by her father Corvin, mother Leone and brother Ary. She will be missed by sister-in-law Elsie, nephews Charles (Barbara), Jay (Wendy) and nieces Sally (Steve), Sarah (Tom) as well as great nieces and nephew Anna, Paige, Claire and Tim and caring Wingert cousins. Special thanks to her loving caretakers of the past three years, especially Tracy, Lacy, Breanna, Kristen, Tracy, Lorainna and Mary who were extremely devoted to Joan. A short visitation will be held on Monday evening at 6:30, May 21, 2018, followed by a funeral service at 7:00 P.M., St. John’s Lutheran Church, where Joan was a lifetime member. Memorials preferred to Seniors Staying Put, Spring Valley Wisconsin.